Charles Édouard Guillaume – Swiss physicist. 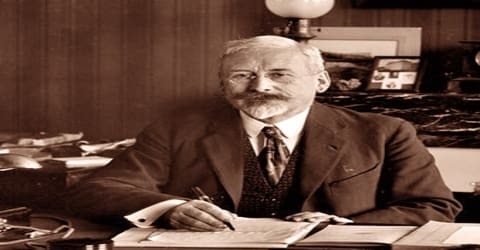 A Swiss-born French physicist whose exhaustive studies of ferronickel alloys culminated in the discovery of invar (a nickel-steel alloy) and gained him the Nobel Prize for Physics in 1920, Charles Édouard Guillaume was born on February 15, 1861, in Fleurier, Switzerland. In 1919, he gave the fifth Guthrie Lecture at the Institute of Physics in London with the title “The Anomaly of the Nickel-Steels”. His interest in taking up physics as a field of study began when he was a student and later was motivated to pursue this as a career upon reading François Arago’s textbook, ‘Éloges académiques’. Throughout his career that spanned approximately five decades, he had been associated with the International Bureau of Weights and Measures, in various positions. His most notable works were his contributions in the field of metrology and alloys. His discovery of alloy ‘Invar’, that was impervious to thermal changes was regarded path-breaking in the field of science at that point. This was followed by his development of the alloy ‘Elinvar’. Charles Édouard Guillaume was also the first to determine the precise temperature of space. He also authored several books related to his field of study. Charles Édouard Guillaume was born on 15 February 1861 at Fleurier in Swiss-Jura. Charles’ father, Édouard, was a watch businessman at London; however, he later relocated the business to Switzerland and settled in Fleurier. His grandfather had left France for political reasons during the Revolution and established a watchmaking business in London. The business was carried on by his three sons but Charles’ father, Édouard, eventually returned to settle in Fleurier. Guillaume received his early education in Neuchâtel before going to the Zurich Polytechnic where he obtained his doctor’s degree. Here, he developed an interest in Physics, and in 1882 was awarded a PhD for his research and thesis on electrolytic capacitors. After graduation, Guillaume completed one year of compulsory service with the Swiss Artillery as an officer. While serving here, he got the opportunity to study ballistics and mechanics. He became Associate Director in 1902 and from 1915 until his retirement in 1936; he was Director of the Bureau. He remained as Honorary Director from 1936 until his death. Charles Édouard Guillaume was married in 1888 to A.M. Taufflieb, with whom he had three children. 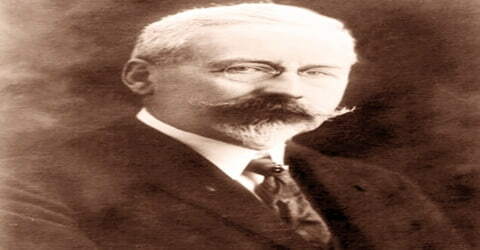 In 1902, Charles Édouard Guillaume took the position of the Associate Director, and in 1915 he took over as the Director of the Bureau. He held this position until his retirement in 1936. After his retirement, he served as was the honorary director of the Bureau until his death. His initial research at the Bureau involved thermometry the science and practice of temperature measurement. He conducted extensive investigations on corrections to mercury–in–glass thermometers. He was also responsible for the detailed calibration of thermometers used at the Bureau in the establishment of the thermal expansions of the standards of length. In 1883 Guillaume joined the International Bureau of Weights and Measures, Sèvres, and from 1915 served as its director. His early studies there included exhaustive investigations of the mercury thermometer and of the volume of the litre, which he found to be 1,000.028 cubic centimetres, not 1,000.000 cubic centimetres as had been accepted. After 1890, Guillaume focused more on the study of alloys following an observation regarding the expansion of nickel- iron based alloys. His research led to the discovery of a nickel-iron alloy with low co-efficient of thermal expansion named ‘Invar’, in 1896. It was named from the word ‘Invariable’ as it had relatively less expansion or contraction when subjected to changes in temperature. The alloy contains 36% nickel and 64% iron. Guillaume is known for his discovery of nickel-steel alloys he named invar and elinvar. Invar has a near-zero coefficient of thermal expansion, making it useful in constructing precision instruments whose dimensions need to remain constant in spite of varying temperature. Elinvar has a near-zero thermal coefficient of the modulus of elasticity, making it useful in constructing instruments with springs that need to be unaffected by varying temperature, such as the marine chronometer. Elinvar is also non-magnetic, which is a secondary useful property for antimagnetic watches. As part of the duties at the Bureau, he was assigned the charge of replicating accurate copies of the standard meters to be distributed around the world. However, as the meter at the bureau was made of platinum–iridium alloy, duplicating the same would incur too much cost. This situation prompted him to look for cheaper alternatives that would withstand resistance to chemical agents along with desirable hardness and permeance. The discovery of ‘Invar’ was an economical solution to aid the successful duplication of the standard meter bar. Guillaume is also known for the earliest estimation of the “radiation of the stars” in his 1896 paper “La Température de L’Espace (The Temperature of Space)”. This is the first known reference to the concept that would later be known as the Cosmic Microwave Background. He was one of the first people in history to estimate the temperature of space, as 5-6K. A few years later, in the late 1890s, Guillaume worked in collaboration with Chenevard and the Imphy steel laboratory and developed a variation of invar; a nickel- steel alloy named ‘Elinvar’; that was known for having a very low thermo-elastic coefficient even when subjected to thermal changes. Elinvar contains 59% iron, 36% nickel and 5% chromium. The alloy is nearly non-magnetic and resistant to corrosion. The use of Ferronickel alloys soon spread to other industries and was put to use by watchmakers, in the making of light bulbs, surveying tapes, thermostats, and wires. As they were a substitute to platinum, there were enormous cost savings as well. Guillaume’s work is recorded in many papers published by the Bureau and he has written, amongst other works, Études thermométriques (Studies on Thermometry, 1886), Traité de thermométrie (Treatise on Thermometry, 1889), Unités et Étalons (Units and Standards, 1894), Les rayons X (X-Rays, 1896), Recherches sur le nickel et ses alliages (Investigations on Nickel and its Alloys, 1898), La vie de la matière (The Life of Matter, 1899), La Convention du Mètre et le Bureau international des Poids et Mesures (Metrical Convention and the International Bureau of Weights and Measures, 1902), Les applications des aciers au nickel (Applications of Nickel-Steels, 1904), Des états de la matière (States of Matter, 1907), Les récent progrès du système métrique (Recent progress in the Metric System, 1907, 1913). His book Initiation à la Mécanique (Introduction to Mechanics) has been translated into several languages. As the son of a Swiss horologist, Guillaume took an interest in marine chronometers. For use as the compensation balance, he developed a slight variation of the invar alloy which had a negative quadratic coefficient of expansion. The purpose of doing this was to eliminate the “middle temperature” error of the balance wheel. The Guillaume Balance (a type of balance wheel) in horology is named after him. Charles Édouard Guillaume was the first scientist to be awarded by the Swedish Academy of Sciences for his work in metallurgy. In 1914, Guillaume was honored with the John Scott Medal. 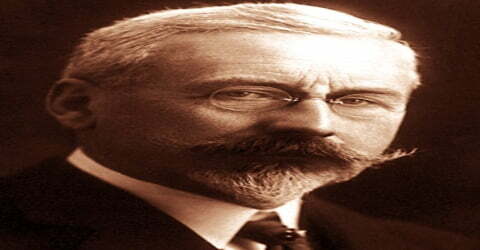 Charles Édouard Guillaume was awarded the Nobel Prize in Physics in 1920 “in recognition of the service he rendered to precision measurements in Physics by his discovery of anomalies in nickel steel alloys”. Charles Édouard Guillaume died on 13 May 1938, in Serves, France, at the age of 77. 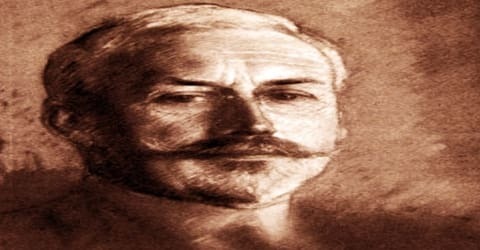 Charles Édouard Guillaume was a well-known scientist who is remembered for his work in the field of metrology and alloys. He was responsible for the discovery of alloys ‘Invar’ and ‘Elinvar’. Guillaume was appointed Grand Officer of the Legion of Honour and received honorary Doctor of Science degrees from the Universities of Geneva, Neuchatel, and Paris. He was a President of the Société Française de Physique and a member, honorary member or corresponding member of more than a dozen of the leading scientific academies of Europe.